In the summer of 2016, Hannigan traveled to Washington to meet with Brennan regarding alleged communications between the Trump campaign and Moscow. On Jan. 23, 2017—three days after Trump’s inauguration—Hannigan abruptly announced his retirement. The Guardian openly speculated that Hannigan’s resignation was directly related to the sharing of UK intelligence. Ultimately, Brennan formed an inter-agency task force comprising an estimated six agencies and/or government departments. The FBI, Treasury, and DOJ handled the domestic inquiry into Trump and possible Russia connections. The CIA, Office of the Director of National Intelligence, and National Security Agency (NSA) handled foreign and intelligence aspects. 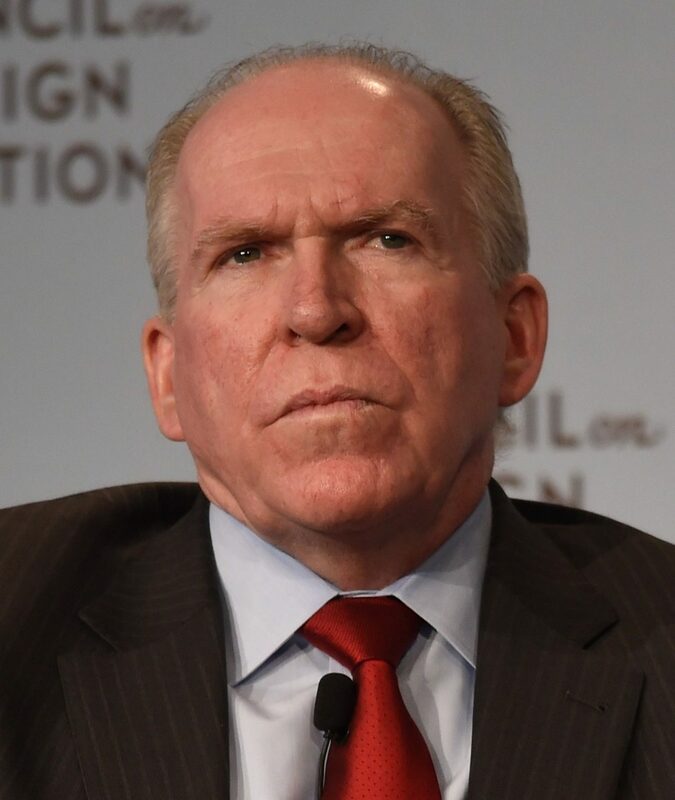 Brennan’s inter-agency task force is not to be confused with the July 2016 FBI counterintelligence investigation, which was formed later at Brennan’s urging. “I have seen intelligence reports that clearly show the president-elect and his team were monitored and disseminated out in intelligence-reporting channels. Details about persons associated with the incoming administration, details with little apparent foreign-intelligence value were widely disseminated in intelligence community reporting. This admission is important, as no official intelligence was used to open the FBI’s investigation. Once the FBI began its counterintelligence investigation on July 31, 2016, Brennan shifted his focus. Through a series of meetings in August and September 2016, Brennan informed the congressional Gang of Eight regarding intelligence and information he had gathered. Notably, each Gang of Eight member was briefed separately, calling into question whether each of the members received the same information. 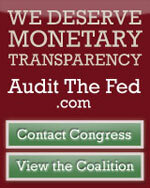 Efforts to block the release of the transcripts from each meeting remain ongoing. The last major segment of Brennan’s efforts involved a series of three reports and greater participation from Clapper. 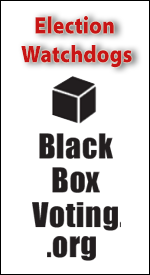 The first report, the “Joint Statement from the Department Of Homeland Security and Office of the Director of National Intelligence on Election Security,” was released on Oct. 7, 2016. The second report, “GRIZZLY STEPPE —Russian Malicious Cyber Activity,” was released on Dec. 29, 2016. The third report, “Assessing Russian Activities and Intentions in Recent U.S. Elections”—also known as the Intelligence Community assessment (ICA)—was released on Jan. 6, 2017. This final report was used to continue pushing the Russia-collusion narrative following the election of President Donald Trump. 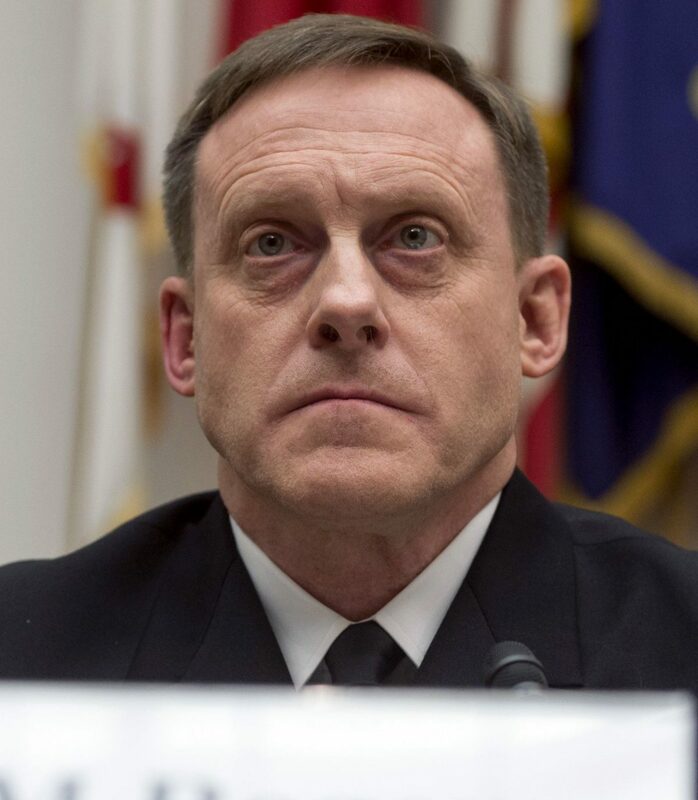 Notably, Admiral Mike Rogers of the NSA publicly dissented from the findings of the ICA, assigning only a moderate confidence level. Although the FBI is technically part of the DOJ, it is best for the purposes of this article that the FBI and DOJ be viewed as separate entities, each with its own related ties. The FBI itself was comprised of various factions, with a particularly active element that has come to be known as the “insurance policy group.” It appears that this faction was led by FBI Deputy Director Andrew McCabe and comprised other notable names such as FBI agent Peter Strzok, FBI lawyer Lisa Page, and FBI general counsel James Baker. The FBI established the counterintelligence investigation into alleged Russia collusion with the Trump campaign on July 31, 2016. Comey initially refused to say whether the FBI was investigating possible connections between members of the Trump campaign and Russia. He would continue to refuse to provide answers until March 20, 2017, when he disclosed the existence of the FBI investigation during congressional testimony. Comey also testified that he did not provide notification to the Gang of Eight until early March 2017—less than one month earlier. This admission was in stark contrast to actions taken by Brennan, who had notified members of the Gang of Eight individually during August and September 2016. It’s likely that Brennan never informed Comey that he had briefed the Gang of Eight in 2016. Comey did note that the DOJ “had been aware” of the investigation all along. Following Comey’s firing on May 9, 2017, the FBI’s investigation was transferred to special counsel Robert Mueller. The Mueller investigation remains ongoing. The FBI’s formal involvement with the Steele dossier began on July 5, 2016, when Mike Gaeta, an FBI agent and assistant legal attaché at the US Embassy in Rome, was dispatched to visit former MI6 spy Christopher Steele in London. Gaeta would return from this meeting with a copy of Steele’s first memo. This memo was given to Victoria Nuland at the State Department, who passed it along to the FBI. Gaeta, who also headed the FBI’s Eurasian Organized Crime unit, had known Steele since at least 2010, when Steele had provided assistance to the FBI’s investigation into the FIFA corruption scandal. It’s worth noting that there was no “dossier” until it was fully compiled in December 2016. There was only a sequence of documents from Steele—documents that were passed on individually—as they were created. Therefore, from the FBI’s legal perspective, they didn’t use the dossier. They used individual documents. In September 2016, Steele traveled back to Rome to meet with the FBI’s Eurasian squad once again. It’s likely that the meeting included several other FBI officials as well. According to a House Intelligence Committee minority memo, Steele’s reporting reached the FBI counterintelligence team in mid-September 2016—the same time as Steele’s September trip to Rome. The reason for the FBI’s renewed interest had to do with an adviser to the Trump campaign—Carter Page—who had been in contact with Stefan Halper, a CIA and FBI source, since July 2016. Halper arranged to meet with Page for the first time on July 11, 2016, at a Cambridge symposium, just three days after Page took a trip to Moscow. Speakers at the symposium included Madeleine Albright, Vin Webber, and Sir Richard Dearlove, the former head of MI6. Page was now the FBI’s chosen target for a FISA warrant that would be obtained on Oct. 21, 2016. The Steele dossier would be the primary evidence used in obtaining the FISA warrant, which would be renewed three separate times, including after Trump took office, finally expiring in September 2017. After being in contact with Page for 14 months, Halper stopped contact exactly as the final FISA warrant on Page expired. Page, who has steadfastly maintained his innocence, was never charged with any crime by the FBI. Efforts for the declassification of the Page FISA application are currently ongoing through the DOJ’s Office of the Inspector General. Peter Strzok and Lisa Page were two prominent members of the FBI’s “insurance policy” group. 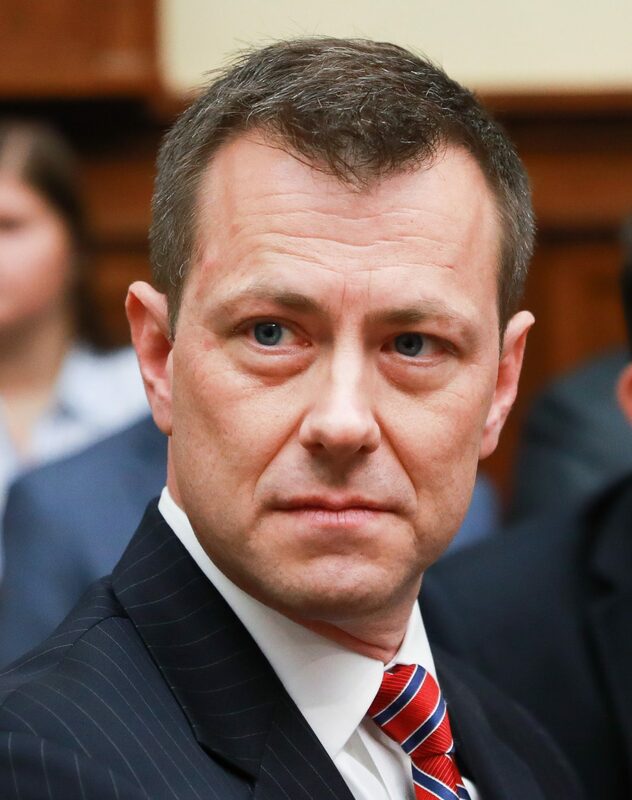 Strzok, a senior FBI agent, was the deputy assistant director of FBI’s Counterintelligence Division. Lisa Page, an FBI lawyer, served as special counsel to FBI Deputy Director Andrew McCabe. Strzok also personally led the FBI’s counterintelligence investigation into the alleged Trump–Russia collusion and signed the documents that opened the investigation on July 31, 2016. He was one of the FBI agents who interviewed Trump’s national security adviser, Gen. Michael Flynn. Strzok met multiple times with DOJ official Bruce Ohr and received information from Steele at those meetings. Following the firing of FBI Director James Comey, Strzok would join the team of special counsel Robert Mueller. Two months later, he was removed from that team after the DOJ inspector general discovered a lengthy series of texts between Strzok and Page that contained politically charged messages. Strzok would be fired from the FBI in August 2018. Both Strzok and Page engaged in strategic leaking to the press. Page did so at the direction of McCabe, who directly authorized Page to share information with Wall Street Journal reporter Devlin Barrett. That information was used in an Oct. 30, 2016, article headlined “FBI in Internal Feud Over Hillary Clinton Probe.” Page leaked to Barrett thinking she had been granted legal and official authorization to do so. McCabe would later initially deny providing such authorization to the Office of Inspector General. Page, when confronted with McCabe’s denials, produced texts refuting his statement. It was these texts that led to the inspector general uncovering the texts between Strzok and Page. The “insurance policy” appears to have been the effort to legitimize the Trump–Russia collusion narrative so that an FBI investigation, led by McCabe, could continue unhindered. 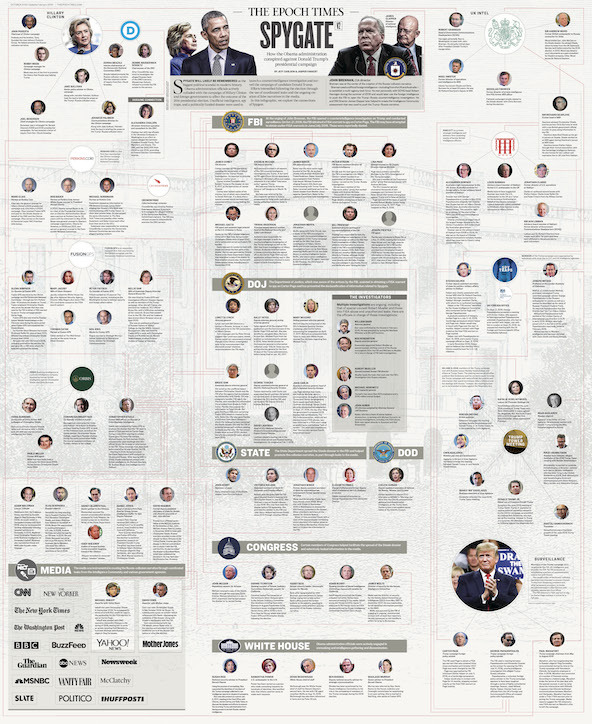 The Department of Justice, which comprises 60 agencies, was transformed during the Obama years. The department is forbidden by federal law from hiring employees based on political affiliation. However, a series of investigative articles by PJ Media published during Eric Holder’s tenure as attorney general revealed an unsettling pattern of ideological conformity among new hires at the DOJ: Only lawyers from the progressive left were hired. Not one single moderate or conservative lawyer made the cut. This is significant as the DOJ enjoys significant latitude in determining who will be subject to prosecution. The DOJ’s job in Spygate was to facilitate the legal side of surveillance while providing a protective layer of cover for all those involved. The department became a repository of information and provided a protective wall between the investigative efforts of the FBI and the legislative branch. Importantly, it also served as the firewall within the executive branch, serving as the insulating barrier between the FBI and Obama officials. The department had become legendary for its stonewalling tactics with Congress. The DOJ, which was fully aware of the actions being taken by James Comey and the FBI, also became an active element acting against members of the Trump campaign. Deputy Attorney General Sally Yates, along with Mary McCord, the head of the DOJ’s National Security Division, were actively involved in efforts to remove Gen. Michael Flynn from his position as national security adviser to President Trump. To this day, it remains unknown which individual was responsible for making public Flynn’s call with the Russian ambassador. Flynn ultimately pleaded guilty to a process crime: lying to the FBI. There have been questions raised in Congress regarding the possible alteration of FD-302s, the written notes of Flynn’s FBI interviews. Special counsel Robert Mueller has repeatedly deferred Flynn’s sentencing hearing. David Laufman, deputy assistant attorney general in charge of counterintelligence at the DOJ’s National Security Division, played a key role in both the Clinton email server and Russia hacking investigations. Laufman is currently the attorney for Monica McLean, the long-time friend of Christine Blasey Ford, who recently accused Judge Brett Kavanaugh of sexually assaulting her while in high school. McLean was also employed by the FBI for 24 years. Ohr, one of the highest-ranking officials in the DOJ, was communicating on an ongoing basis with Steele, whom he had known since at least 2006, well into mid-2017. He is also married to Nellie Ohr, an expert on Russia and Eurasia who began working for Fusion GPS sometime in late 2015. 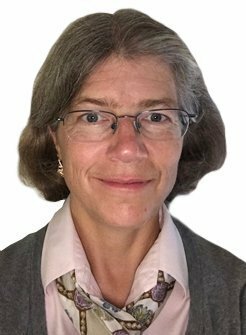 Nellie Ohr likely played a significant role in the construction of the dossier. According to testimony from FBI agent Peter Strzok, he and Ohr met at least five times during 2016 and 2017. Strzok was working directly with then-Deputy FBI Director Andrew McCabe. Additionally, Ohr met with the FBI at least 12 times between late November 2016 and May 2017 for a series of interviews. These meetings could have been used to transmit information from Steele to the FBI. This came after the FBI had formally severed contact with Steele in late October or early November 2016. John Carlin is another notable figure with the DOJ. Carlin was an assistant attorney general and the head of the DOJ’s National Security Division until October 2016. His role will be discussed below in the section on FISA abuse. Deputy FBI Director Andrew McCabe held a pivotal role in what has become known as “Spygate.” He directed the activities of Peter Strzok and Lisa Page and was involved in all aspects of the Russia investigation. He was also mentioned in the infamous “insurance policy” text message. McCabe was a major component of the insurance policy. On April 26, 2017, Rosenstein found himself appointed as the new deputy attorney general. He was placed into a somewhat chaotic situation, as Attorney General Jeff Sessions had recused himself from the ongoing Russia investigation a little less than two months earlier, on March 2, 2017. This effectively meant that no one in the Trump administration had any oversight of the ongoing investigation being conducted by the FBI and the DOJ. 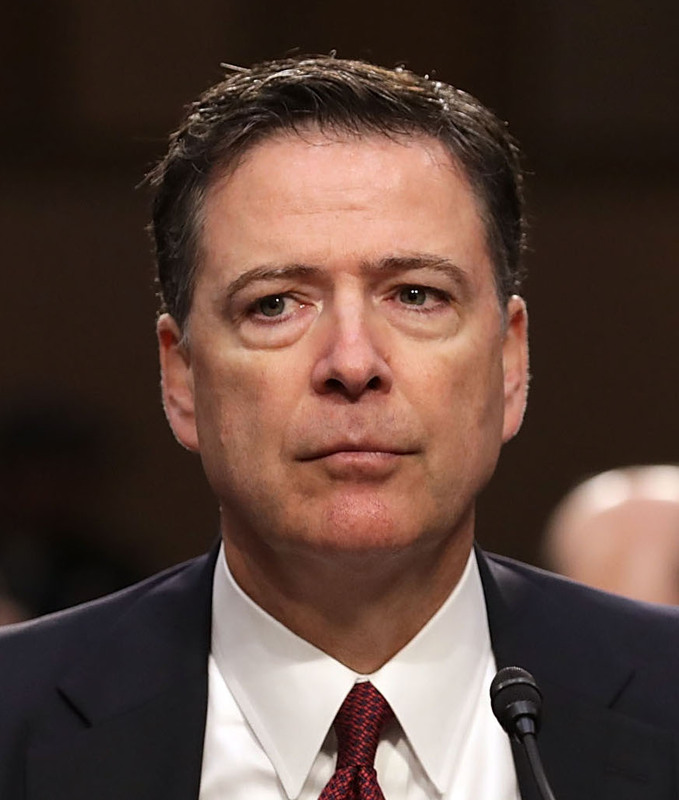 Additionally, the leadership of then-FBI Director James Comey was coming under increased scrutiny as the result of actions taken leading up to and following the election, particularly Comey’s handling of the Clinton email investigation. On May 9, 2017, Rosenstein wrote a memorandum recommending that Comey be fired. The subject of the memo was “Restoring Public Confidence in the FBI.” Comey was fired that day. McCabe was now the acting director of the FBI and was immediately under consideration for the permanent position. At the time, nobody, including the INSD agents, knew that McCabe had lied, nor were the darker aspects of McCabe’s role in Spygate fully known. In late April or early May 2016, McCabe opened a federal criminal investigation on Sessions, regarding potential lack of candor before Congress in relation to Sessions’s contacts with Russians. Sessions was unaware of the investigation. Sessions would later be cleared of any wrongdoing by special counsel Robert Mueller. On the morning of May 16, 2017, Rosenstein reportedly suggested to McCabe that he secretly record President Trump. This remark was reported in a New York Times article that was sourced from memos from the now-fired McCabe, along with testimony taken from former FBI general counsel James Baker, who relayed a conversation he had with McCabe about the occurrence. Rosenstein issued a statement denying the accusations. Later, on the same day that Rosenstein had his meetings with McCabe, President Trump met with Mueller, reportedly as an interview for the FBI director job. On May 17, 2017, the day after President Trump’s meeting with Mueller—and the day after Rosenstein’s encounters with McCabe—Rosenstein appointed Mueller as special counsel. The May 17 appointment of Mueller in effect shifted control of the Russia investigation from the FBI and McCabe to Mueller. Rosenstein would retain ultimate authority for the probe and any expansion of Mueller’s investigation required authorization from Rosenstein. Interestingly, without Comey’s memo leaks, a special counsel might not have been appointed—the FBI, and possibly McCabe, would have remained in charge of the Russia investigation. McCabe was probably not going to become the permanent FBI director, but he was reportedly under consideration. Regardless, without Comey’s leak, McCabe would have retained direct involvement and the FBI would have retained control. On July 28, 2017, McCabe lied to Inspector General Michael Horowitz while under oath regarding authorization of the leaking to The Wall Street Journal. At this point, Horowitz knew McCabe was lying, but did not yet know of the May 9 INSD interview with McCabe. On Aug. 2, 2017, Rosenstein secretly issued Mueller a revised memo on “the scope of investigation and definition of authority” that remains heavily redacted. The full purpose of this memo remains unknown. On this same day, Christopher Wray was named as the new FBI director. Two days later, on Aug. 4, 2017, Sessions announced that the FBI had created a new leaks investigation unit. Rosenstein and Wray were tasked with overseeing all leak investigations. That Aug. 2 memo from Rosenstein to Mueller may have been specifically designed to remove any residual FBI influence—specifically that of McCabe—from the Russia investigation. The appointment of Wray as FBI director helped cement this. McCabe was finally completely neutralized. On March 16, 2018, McCabe was fired for lying under oath at least three different times and is currently the subject of a grand jury investigation. The State Department, with its many contacts within foreign governments, became a conduit for the flow of information. The transfer of Christopher Steele’s first dossier memo was personally facilitated by Victoria Nuland, the assistant secretary of state for European and Eurasian affairs. 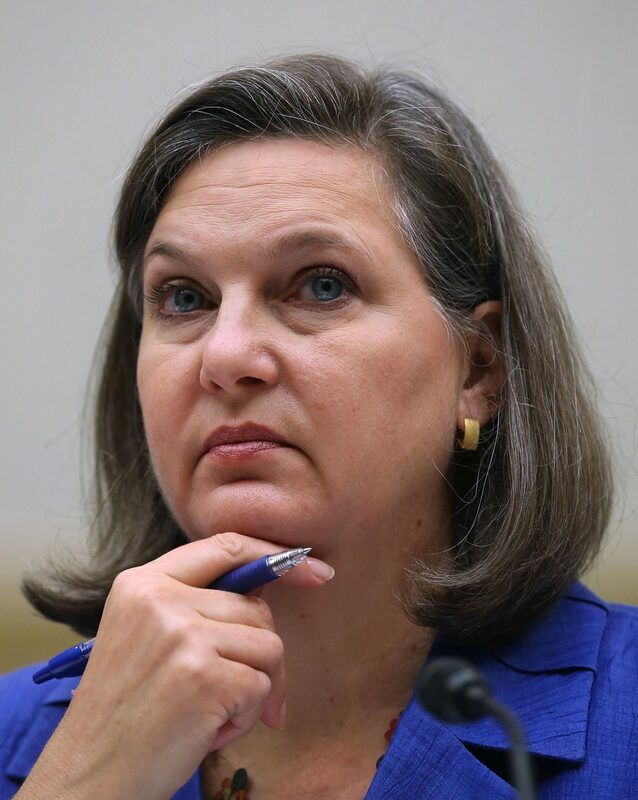 Nuland gave approval for FBI agent Michael Gaeta to travel to London to obtain the memo from Steele. The memo may have passed directly from her to FBI leadership. Secretary of State John Kerry was also given a copy. 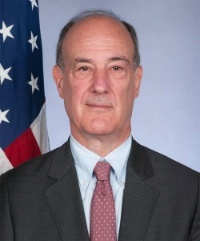 Steele was already well-known within the State Department. Following Steele’s involvement in the FIFA scandal investigation, he began to provide reports informally to the State Department. The reports were written for a “private client” but were “shared widely within the U.S. State Department, and sent up to Secretary of State John Kerry and Assistant Secretary of State Victoria Nuland, who was in charge of the U.S. response to Putin’s annexation of Crimea and covert invasion of eastern Ukraine,” the Guardian reported. In a strange turn of events, Winer also received a separate dossier, very similar to Steele’s, from long-time Clinton confidant Sidney Blumenthal. This “second dossier” had been compiled by another longtime Clinton operative, former journalist Cody Shearer, and echoed claims made in the Steele dossier. Winer then met with Steele in late September 2016 and gave Steele a copy of the “second dossier.” Steele went on to share this second dossier with the FBI, which may have used it to corroborate his dossier. Other foreign officials also used conduits into the State Department. Alexander Downer, Australia’s high commissioner to the UK, reportedly funneled his conversation with Trump campaign adviser George Papadopoulos—later used as a reason to open the FBI’s counterintelligence investigation—directly to the U.S. Embassy in London. 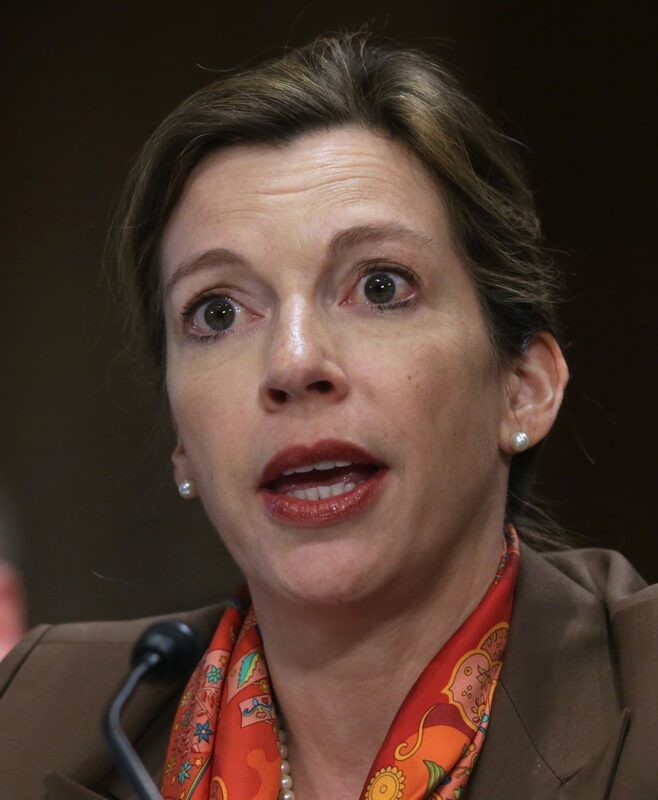 “The Downer details landed with the embassy’s then-chargé d’affaires, Elizabeth Dibble, who previously served as a principal deputy assistant secretary in Mrs. Clinton’s State Department,” The Wall Street Journal’s Kimberley Strassel wrote in a May 31, 2018, article. If true, this would mean that neither Australian intelligence nor the Australian government alerted the FBI to the Papadopoulos information. What happened with the Downer details, and to whom they were ultimately relayed, remains unknown. The Clinton campaign and the Democratic National Committee both occupied a unique position. They had the most to gain but they also had the most to lose. And they stood willing and ready to do whatever was necessary to win. Hillary Clinton’s campaign manager, Robby Mook, is credited with being the first to raise the specter of candidate Donald Trump’s alleged collusion with Russia. The entire Clinton campaign willfully promoted the narrative of Russia–Trump collusion despite the uncomfortable fact that they were the ones who had engaged the services of Fusion GPS and Christopher Steele through their law firm Perkins Coie. Information flowed from the campaign—sometimes through Perkins Coie, other times through affiliates—ultimately making its way into the media and sometimes to the FBI. Information from the Clinton campaign may also have ended up in the Steele dossier. 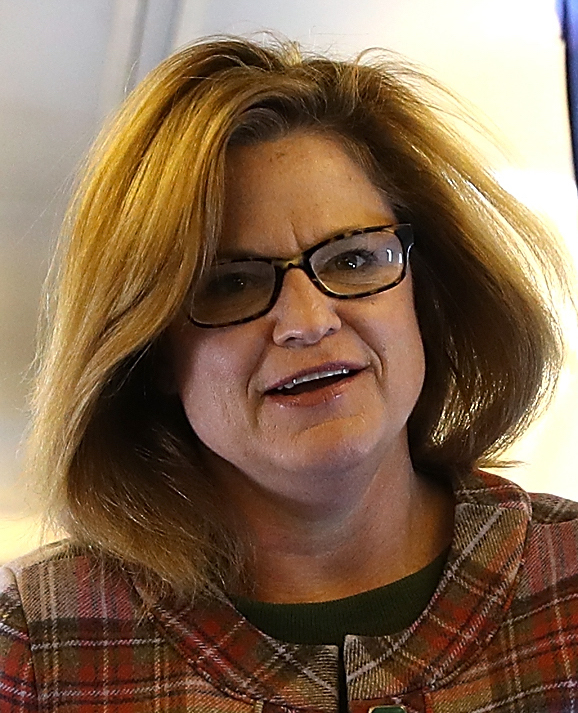 Jennifer Palmieri, the communications director for the Clinton campaign, in tandem with Jake Sullivan, the senior policy adviser to the campaign, took the lead in briefing the press on the Trump–Russia collusion story. Another example of this behavior can be seen from an instance when Perkins Coie lawyer Michael Sussmann leaked information from Steele and Fusion GPS to Franklin Foer of Slate magazine. This event is described in the House Intelligence Committee’s final report on Russian active measures, in footnote 43 on page 57. Foer then published the article “Was a Trump Server Communicating With Russia?” on Oct. 31, 2016. The article concerns allegations regarding a server in the Trump Tower. These statements, which were later proven to be incorrect, are all the more disturbing with the hindsight knowledge that it was a senior Clinton/DNC lawyer who helped plant the story. And given the prepared statement by Sullivan, the Clinton campaign knew this. This type of behavior would be engaged in repeatedly—damning leaks leading to media stories, followed by ready attacks from the Clinton campaign. Alexandra Chalupa is a Ukrainian-American operative who was consulting for the Democratic National Committee. Chalupa met with top officials in the Ukrainian Embassy in Washington in an effort to expose ties between Trump, Paul Manafort, and Russia. Chalupa began investigating Manafort in 2014. In late 2015, Chalupa expanded her opposition research on Manafort to include Trump’s ties to Russia. In January 2016, Chalupa shared her information with a senior DNC official. Chalupa’s meetings with DNC and Ukrainian officials would continue. On April 26, 2016, investigative reporter Michael Isikoff published a story on Yahoo News about Manafort’s business dealings with Russian oligarch Oleg Deripaska. It was later learned from a DNC email leaked by Wikileaks that Chalupa had been working with Isikoff—the same journalist Christopher Steele leaked to in September 2016. Manafort would later be indicted for Foreign Agents Registration Act violations that occurred during the Obama administration. International law firm Perkins Coie served as the legal arm for both the Clinton campaign and the DNC. Ties to Perkins Coie extended beyond the DNC into the Obama White House. 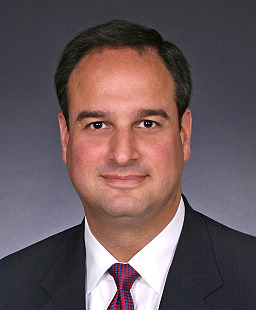 Bob Bauer, a partner at the law firm and founder of its political law practice, served as White House counsel to President Barack Obama throughout 2010 and 2011. Bauer was also general counsel to Obama’s campaign organization, Obama for America, in 2008 and 2012. Perkins Coie partners Marc Elias and Michael Sussmann each played critical roles and were the ones who hired Fusion GPS and Steele. Sussmann personally handled the alleged hack of the DNC server. He also transmitted information, likely from Steele and Fusion GPS, to James Baker, then-chief counsel at the FBI, and to several members of the press. According to a letter dated Oct. 24, 2017, written by Matthew Gehringer, general counsel at Perkins Coie, the firm was approached by Fusion GPS founder Glenn Simpson in early March 2016 regarding the possibility of hiring Fusion GPS to continue opposition research into the Trump campaign. Simpson’s overtures were successful, and in April 2016, Perkins Coie hired Fusion GPS on behalf of the DNC. Sometime in April or May 2016, Fusion GPS hired Christopher Steele. During this same period, Fusion also reportedly hired Nellie Ohr, the wife of Associate Deputy Attorney General Bruce Ohr. Steele would complete his first memo on June 20, 2016, and send it to Fusion via enciphered mail. Perkins Coie appears to have also been acting as a conduit between the DNC and the FBI. Documents suggest that Sussmann was feeding information to FBI general counsel James Baker and at least one journalist ahead of the FBI’s application for a FISA warrant on the Trump campaign. 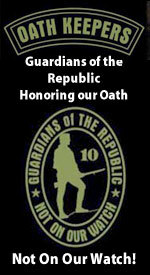 The Obama administration provided a simultaneous layer of protection and facilitation for the entire effort. One example is provided by Section 2.3 of Executive Order 12333, also known as Obama’s data-sharing order. With the passage of the order, agencies and individuals were able to ask the NSA for access to specific surveillance simply by claiming the intercepts contained relevant information that was useful to a particular mission. Section 2.3 had been expected to be finalized by early to mid-2016. Instead, Director of National Intelligence James Clapper didn’t sign off on Section 2.3 until Dec. 15, 2016. The order was finalized when Attorney General Loretta Lynch signed it on Jan. 3, 2017. The reason for the delay could relate to the fact that while the executive order made it easier to share intelligence between agencies, it also limited certain types of information from going to the White House. Many of the Obama administration’s efforts appear to have been structural in nature, such as establishing new procedures or creating impediments to oversight that enabled much of the surveillance abuse to occur. 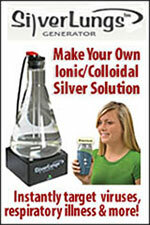 These new restrictions were put in place by Attorney General Eric Holder and Deputy Attorney General James Cole. At other times, the Obama administration’s efforts were more direct. The Intelligence Community assessment was released internally on Jan. 5, 2017. On this same day, Obama held an undisclosed White House meeting to discuss the dossier with national security adviser Susan Rice, FBI Director James Comey, and Yates. Rice would later send herself an email documenting the meeting. The following day, Brennan, Clapper, and Comey attached a written summary of the Steele dossier to the classified briefing they gave Obama. Comey then met with President-elect Trump to inform him of the dossier. This meeting took place just hours after Comey, Brennan, and Clapper formally briefed Obama on both the Intelligence Community assessment and the Steele dossier. The media had widely dismissed the dossier as unsubstantiated and, therefore, unreportable. It was only after learning that Comey briefed Trump that CNN reported on the dossier. It was later revealed that DNI James Clapper personally leaked Comey’s meeting with Trump to CNN. The Obama administration also directly participated in a series of intelligence unmaskings, the process whereby a U.S. citizen’s identity is revealed from collected surveillance. U.S. Ambassador to the U.N. Samantha Power reportedly engaged in hundreds of unmasking requests. Rice has admitted to doing the same. The Obama administration engaged in the ultimately successful effort to oust Trump’s newly appointed national security adviser, Gen. Michael Flynn. Yates, along with Mary McCord, head of the DOJ’s National Security Division, led that effort. President Barack Obama issued a last-minute executive order on Jan. 13, 2017, that altered the line of succession within the DOJ. The action was not done in consultation with the incoming Trump administration. Acting Attorney General Sally Yates was fired on Jan. 30, 2017, by a newly inaugurated President Trump for refusing to uphold the president’s executive order limiting travel from certain terror-prone countries. Yates was initially supposed to serve in her position until Jeff Sessions was confirmed as attorney general. Obama’s executive order placed the U.S. attorney for the District of Columbia next in line behind the department’s senior leadership. The attorney at the time was Channing Phillips. Phillips was first hired by former Attorney General Eric Holder in 1994 for a position in the D.C. U.S. attorney’s office. Phillips, after serving as a senior adviser to Holder, stayed on after he was replaced by Attorney General Loretta Lynch. It appears the Obama administration was hoping the Russia investigation would default to Channing in the event Sessions was forced to recuse himself from the investigation. Sessions, whose confirmation hearings began three days before the order, was already coming under intense scrutiny. The implementation of the order may also tie into Yates’s efforts to remove Gen. Michael Flynn over his call with the Russian ambassador. Trump ignored the succession order, as he is legally allowed to do, and instead appointed Dana Boente, the U.S. attorney for the Eastern District of Virginia, as acting attorney general on Jan. 30, 2017, the same day Yates was fired. Trump issued a new executive order on Feb. 9, 2017, the same day Sessions was sworn in, reversing Obama’s prior order. On March 10, 2017, Trump fired 46 Obama-era U.S. attorneys, including Preet Bharara, the U.S. attorney in Manhattan. These firings appear to have been unexpected. In some respects, the media has played the most disingenuous of roles. Areas of investigation that historically would have proven irresistible to reporters of the past have been steadfastly ignored. 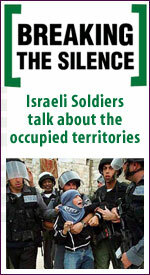 False narratives have been all-too-willingly promoted and facts ignored. Fusion GPS personally made a series of payments to several as-of-yet-unnamed reporters. The majority of the mainstream media has represented positions of the DNC and the Clinton campaign. 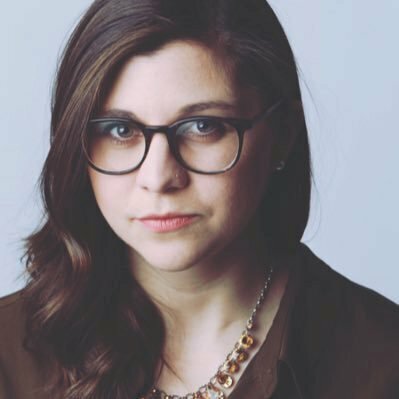 Reporter Ali Watkins likely received the undredacted FISA application on Carter Page from James Wolfe. UK and Australian intelligence agencies also played meaningful roles during the 2016 presidential election. Britain’s GCHQ was involved in collecting information regarding then-candidate Trump and transmitting it to the United States. 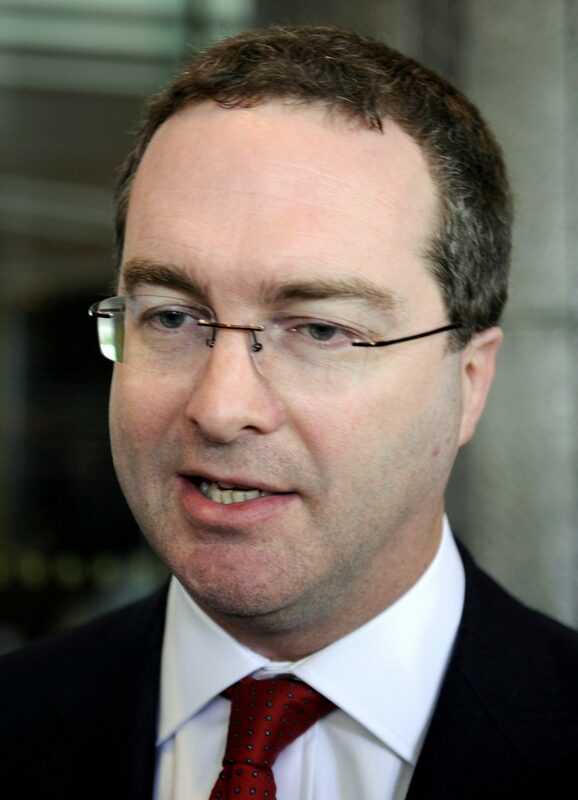 In the summer of 2016, Robert Hannigan, the head of GCHQ, flew from London to meet personally with then-CIA Director John Brennan, The Guardian reported. Hannigan’s meeting was noteworthy because Brennan wasn’t Hannigan’s counterpart. That position belonged to NSA Director Mike Rogers. In the following year, Hannigan abruptly announced his retirement on Jan. 23, 2017—three days after Trump’s inauguration. As GCHQ was gathering intelligence, low-level Trump campaign foreign-policy adviser George Papadopoulos appears to have been targeted after a series of highly coincidental meetings. Maltese professor Josef Mifsud, Australian diplomat Alexander Downer, FBI informant Stefan Halper, and officials from the UK’s Foreign and Commonwealth Office (FCO) all crossed paths with Papadopoulos—some repeatedly so. Christopher Steele, who authored the dossier on Trump, was an MI6 agent while the agency was headed by Sir Richard Dearlove. Steele retains close ties with Dearlove. Dearlove has ties to most of the parties mentioned. It was he who advised Steele and his business partner, Chris Burrows, to work with a top British government official to pass along information to the FBI in the fall of 2016. He also was a speaker at the July 2016 Cambridge symposium that Halper invited Carter Page to attend. Dearlove knows Halper through their mutual association at the Cambridge Intelligence Seminar. Dearlove also knows Sir Iain Lobban, a former head of GCHQ, who is an advisory board member at British strategic intelligence and advisory firm Hakluyt, which was founded by former MI6 members and retains close ties to UK intelligence services. Halper has historical connections to Hakluyt through Jonathan Clarke, with whom he has co-authored two books. Downer, who met Papadopoulos in a May 2016 meeting established through a chain of two intermediaries, served on the advisory board of Hakluyt from 2008 to 2014. He reportedly still maintains contact with Hakluyt officials. Information from his meeting with Papadopoulos was later used by the FBI to establish the bureau’s counterintelligence investigation into Trump–Russia collusion. Downer has changed his version of events multiple times. Trump, after issuing an order for the declassification of documents and text messages related to the Russia-collusion investigations—including parts of the Carter Page FISA warrant application—received phone calls from two U.S. allies saying, “Please, can we talk.” Those “allies” were almost certainly the UK and Australia. In a Twitter post, Trump wrote that the “key Allies called to ask not to release” the documents. Questions to be asked are why is it that two of our allies would find themselves so opposed to the release of these classified documents that a coordinated plea would be made directly to the president? And why would these same allies have even the slightest idea of what was contained in these classified U.S. documents? Britain and Australia appear to know full well what those documents contain, and their attempt to prevent their public release appears to be because they don’t want their role in events surrounding the 2016 presidential election to be made public. Glenn Simpson, a former Wall Street Journal reporter, is co-founder of Fusion GPS, along with Peter Fritsch and Tom Catan. Fusion was hired by the DNC and the Clinton campaign through law firm Perkins Coie to produce and disseminate the Steele dossier used against Trump. The dossier would later be the primary evidence used to obtain a FISA warrant on Carter Page on Oct. 21, 2016. 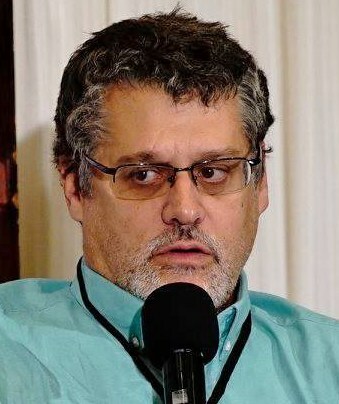 Glenn Simpson, co-founder of Fusion GPS. The company was hired by the Clinton campaign and the DNC–through law firm Perkins Coie–to produce the dossier on Trump. Christopher Steele, who retains close ties to UK intelligence, worked for MI6 from 1987 until his retirement in 2009, when he and his partner, Chris Burrows, founded Orbis Intelligence. Steele maintains contact with British intelligence, Sir Richard Dearlove, and UK intelligence firm Hakluyt. Fusion GPS was also employed by Russian lawyer Natalia Veselnitskaya in a previous case. Veselnitskaya was involved in litigation pitting Russian firm Prevezon Holdings against British-American financier William Browder. Veselnitskaya hired U.S. law firm BakerHostetler, who, in turn, hired Fusion GPS to dig up dirt on Browder. Veselnitskaya was one of the participants at the June 2016 Trump Tower meeting, at which she discussed the Magnitsky Act. Fox News reported on Nov. 9, 2017, that Simpson met with Veselnitskaya immediately before and after the Trump Tower meeting. A declassified top-secret Foreign Intelligence Surveillance Court report released on April 26, 2017, revealed that government agencies, including the FBI, CIA, and NSA, had improperly accessed Americans’ communications. The FBI specifically provided outside contractors with access to raw surveillance data on American citizens without proper oversight. Communications and other data of members of the Trump campaign may have been accessed in this way. Nellie Ohr, the wife of high-ranking DOJ official Bruce Ohr, was hired by Fusion GPS to work on the dossier on Trump. Bruce and Nellie Ohr have known Simpson since at least 2010 and have known Steele since at least 2006. 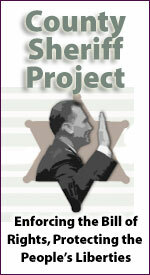 The Ohrs and Simpson worked together on a DOJ report in 2010. In that report, Nellie Ohr’s biography lists her as working for Open Source Works, which is part of the CIA. 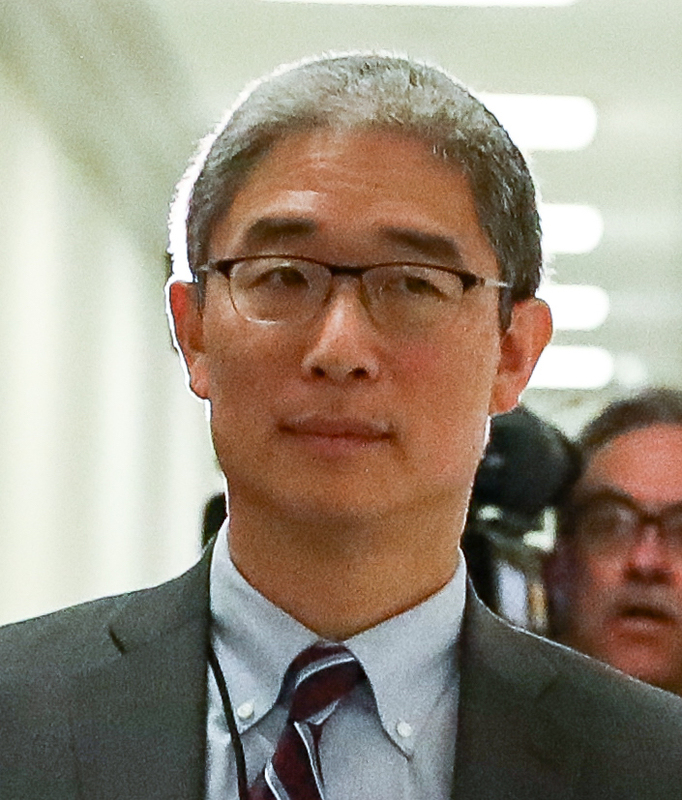 Simpson met with Bruce Ohr before and after the 2016 election. Bruce Ohr had been in contact repeatedly with Steele during the 2016 presidential campaign—while Steele was constructing his dossier. Ohr later actively shared information he received from Steele with the FBI, after the agency had terminated Steele as a source. Interactions between Ohr and Steele stretched for months into the first year of Trump’s presidency and were documented in a number of FD-302s—memos that summarize interviews with him by the FBI. In an effort to put forth evidence of collusion between the Trump campaign and Russia, it appears that several different spy traps were set, with varying degrees of success. Many of these efforts appear to center around Trump campaign adviser George Papadopoulos and involve London-based professor Joseph Mifsud, who has ties to Western intelligence, particularly in the UK. Papadopoulos and Mifsud both worked at the London Centre of International Law Practice (LCILP). Mifsud appears to have joined LCILP around November 2015. Papadopoulos reportedly joined LCILP sometime in late February 2016 after leaving Ben Carson’s presidential campaign. However, some reports indicate Papadopoulos joined LCILP in November or December of 2015. Mifsud and Papadopoulos reportedly never crossed paths until March 14, 2016, in Italy. Mifsud introduced Papadopoulos to several Russians, including Olga Polonskaya, whom Mifsud introduced as “Putin’s niece,” and Ivan Timofeev, an official at a state-sponsored think tank called the Russian International Affairs Council. Both Papadopoulos and Mifsud were interviewed by the FBI. 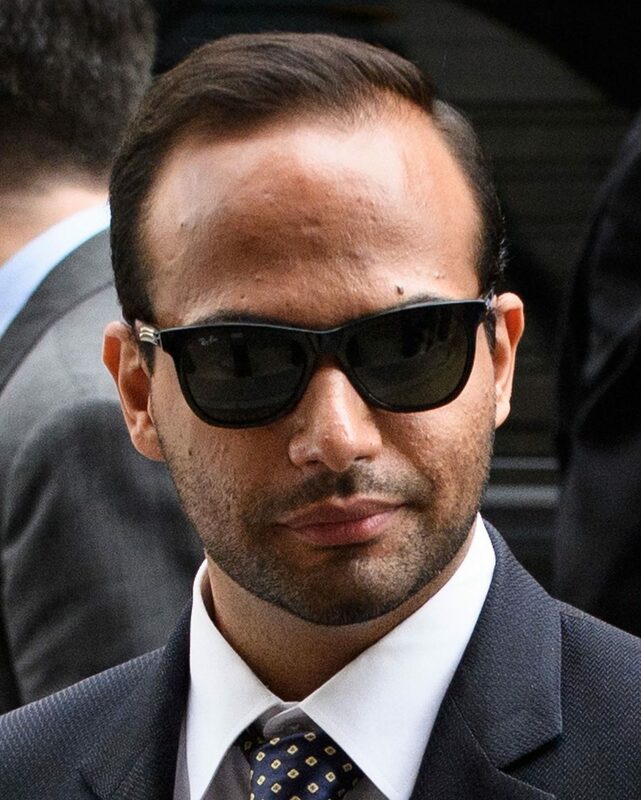 Papadopoulos was ultimately charged with a process crime and was recently sentenced to 14 days in prison for lying to the FBI. Mifsud was never charged by the FBI. Throughout this period, Papadopoulos continuously pushed for meetings between Trump campaign officials and Russian contacts but was ultimately unsuccessful in establishing any meetings. Papadopoulos met with Australian diplomat Alexander Downer on May 10, 2016. The Papadopoulos–Downer meeting has been portrayed as a chance encounter in a bar. That does not appear to be the case. Papadopoulos was introduced to Downer through a chain of two intermediaries who said Downer wanted to meet with Papadopoulos. Another individual happened to be in London at exactly the same time: the FBI’s head of counterintelligence, Bill Priestap. The purpose of Priestap’s visit remains unknown. The Papadopoulos–Downer meeting was later used to establish the FBI’s counterintelligence investigation into Trump–Russia collusion. It was repeatedly reported that Papadopoulos told Downer that Russia had Hillary Clinton’s emails. This is incorrect. According to Downer, Papadopoulos at some point mentioned the Russians had damaging information on Hillary Clinton. Downer, while serving as Australia’s foreign minister, was responsible for one of the largest foreign donations to the Clinton Foundation: $25 million from the Australian government. Unconfirmed media reports, including a Jan. 12, 2017, BBC article, have suggested that the FBI attempted to obtain two FISA warrants in June and July 2016 that were denied by the FISA court. It’s likely that Papadopoulos was an intended target of these failed FISAs. Interestingly, there is no mention of Papadopoulos in the Steele dossier. Paul Manafort, Carter Page, former Trump lawyer Michael Cohen, Gen. Michael Flynn, and former Trump campaign manager Corey Lewandowski are all listed in the Steele dossier. Papadopoulos may have started out assisting the FBI or CIA and later discovered that he was being set up for surveillance himself. After failing to obtain a spy warrant on the Trump campaign using Papadopoulos, the FBI set its sights on campaign volunteer Carter Page. By this time, the counterintelligence investigation was in the process of being established, and we know now that it was formalized with no official intelligence. The FBI needed some sort of legal cover. They needed a retroactive warrant. And they got one on Oct. 21, 2016. The Page FISA warrant would be renewed three times and remain in force until September 2017. 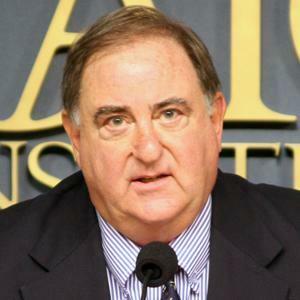 Stefan Halper met with Page for the first time on July 11, 2016, at a Cambridge symposium, just three days after Page’s July 2016 Moscow trip. As noted previously, former MI6 head Sir Richard Dearlove was a speaker at the symposium. Halper and Dearlove have known each other for years and maintain several mutual associations. Page was already known to the FBI. The Page FISA warrant application references the Buryakov spy case and an FBI interview with Page. Current information suggests there was only one meeting between Page and the FBI in 2016. It happened on March 2, 2016. It was in relation to Victor Podobnyy, who was named in the Buryakov case. Page, who cooperated with the FBI on the case, almost certainly was providing testimony or details against Podobnyy. Page had been contacted by Podobnyy in 2013 and had previously provided information to the FBI. Buryakov pleaded guilty on March 11, 2016—nine days after Page met with the FBI on the case—and was sentenced to 30 months in prison on May 25, 2016. On April 5, 2017, Buryakov was granted early release and was deported to Russia. FBI informant Stefan Halper approached Trump campaign advisers George Papadopoulos and Carter Page. House Intelligence Committee Chairman Devin Nunes said in August that exculpatory evidence on Page exists that wasn’t included by the DOJ and the FBI in the FISA application and subsequent renewals. The exculpatory evidence likely relates specifically to Page’s role in the Buryakov case. If the FBI failed to disclose Page’s cooperation with the bureau or materially misrepresented his involvement in its application to the FISA Court, it means that the FBI’s Woods procedures, which govern FISA applications, were violated. Page has not been arrested or charged with any crime related to the investigation. “The FBI had disclosed raw FISA information, including but not limited to Section 702-acquired information, … to private contractors. “Private contractors had access to raw FISA information on FBI storage systems. The FISA Court disclosed that illegal NSA database searches were endemic. Private contractors, employed by the FBI, were given full access to the NSA database. Once in the contractors’ possession, the data couldn’t be traced. On April 18, 2016, Rogers shut down all outside contractor access to raw FISA information—specifically outside contractors working for the FBI. DOJ National Security Division (NSD) head John Carlin filed the government’s proposed 2016 Section 702 certifications on Sept. 26, 2016. Carlin knew the general status of compliance review by Rogers. The NSD was part of the review. Carlin failed to disclose a critical Jan. 7, 2016, report by the Office of the Inspector General and associated FISA abuse to the FISA Court in his 2016 certification. Carlin also failed to disclose Rogers’s ongoing Section 702 compliance review. The following day, on Sept. 27, 2016, Carlin announced his resignation, effective Oct. 15, 2016. After receiving a briefing by the NSA compliance officer on Oct. 20, 2016, detailing numerous “about query” violations from the 702 NSA compliance audit, Rogers shut down all “about query” activity the next day and reported his findings to the DOJ. “About queries” are searches based on communications containing a reference “about” a surveillance target but that are not “to” or “from” the target. On Oct. 21, 2016, the DOJ and the FBI sought and received a Title I FISA probable-cause order authorizing electronic surveillance on Carter Page from the FISA Court. At this point, the FISA Court was still unaware of the Section 702 violations. On Oct. 24, 2016, Rogers verbally informed the FISA Court of his findings. On Oct. 26, 2016, Rogers appeared formally before the FISA Court and presented the written findings of his audit. The FISA Court had been unaware of the query violations until they were presented to the court by Rogers. Carlin didn’t disclose his knowledge of FISA abuse in the annual Section 702 certifications in order to avoid raising suspicions at the FISA Court ahead of receiving the Page FISA warrant. 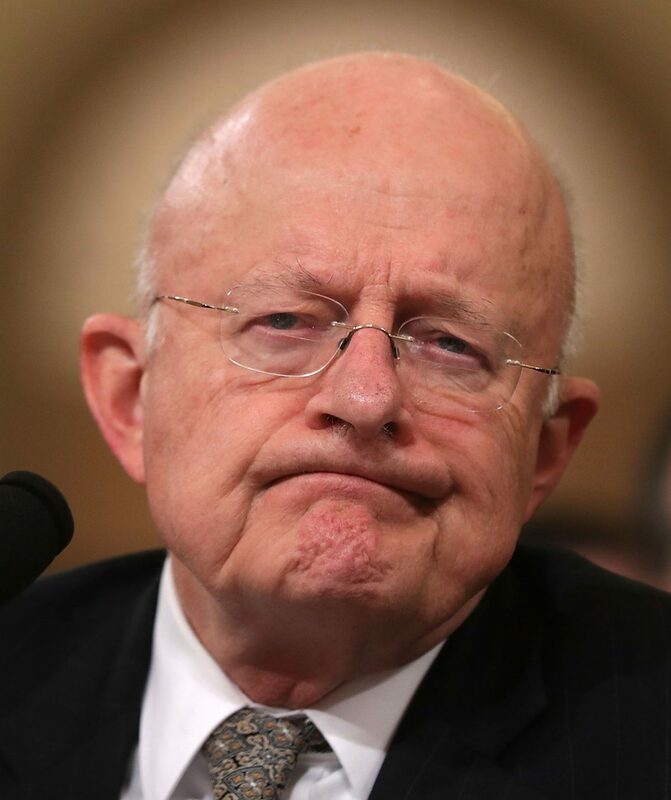 While all this was transpiring, DNI James Clapper and Defense Secretary Ash Carter submitted a recommendation that Rogers be removed from his post as NSA director. The move to fire Rogers, which ultimately failed, originated sometime in mid-October 2016—exactly when Rogers was preparing to present his findings to the FISA Court. 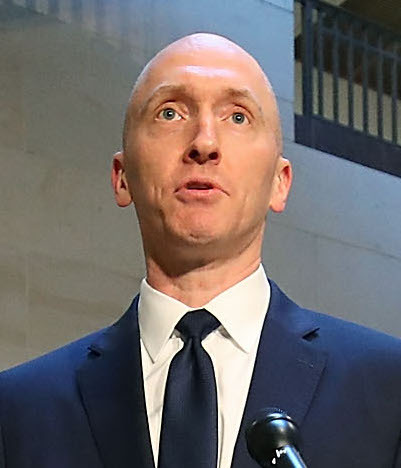 Some observers have suggested that the insurance policy was the FISA spy warrant used to monitor Trump campaign adviser Carter Page and, by extension, other members of the Trump campaign. This interpretation is too narrow and fails to capture the underlying meaning of the text. The insurance policy was the actual process of establishing the Trump–Russia collusion narrative. 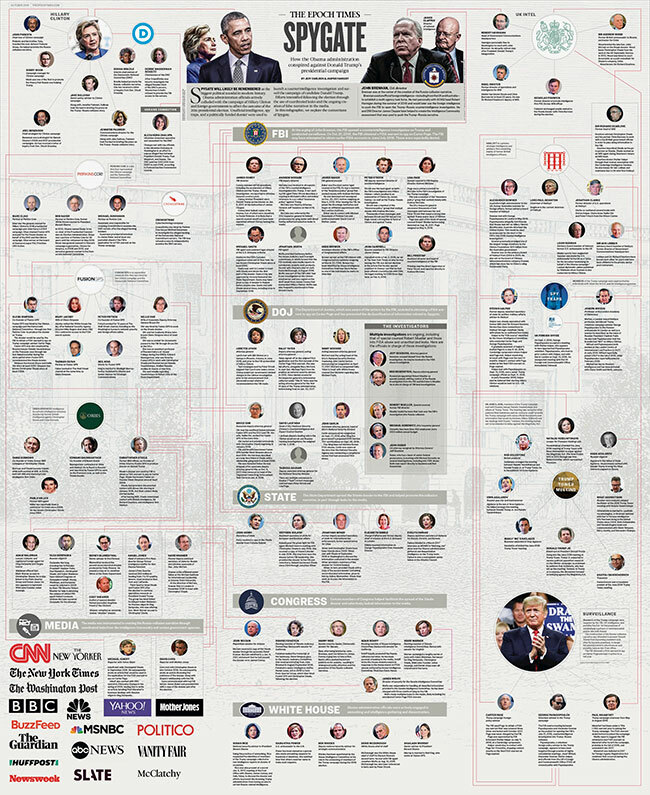 It encompassed actions undertaken in late 2016 and early 2017, including the leaking of the Steele dossier and James Clapper’s leaks of James Comey’s briefing to President Trump. The intent behind these actions was simple. The legitimization of the investigation into the Trump campaign. The strategy involved the recusal of Trump officials with the intent that Andrew McCabe would end up running the investigation. The Steele dossier, which was paid for by the Clinton presidential campaign and the Democratic National Committee, served as the foundation for the Russia narrative. The intelligence community, led by CIA Director John Brennan and DNI James Clapper, used the dossier as a launching pad for creating their Intelligence Community assessment. This report, which was presented to Obama in December 2016, despite NSA Director Mike Rogers having only moderate confidence in its assessment, became one of the core pieces of the narrative that Russia interfered with the 2016 elections. Through intelligence community leaks, and in collusion with willing media outlets, the narrative that Russia helped Trump win the elections was aggressively pushed throughout 2017. 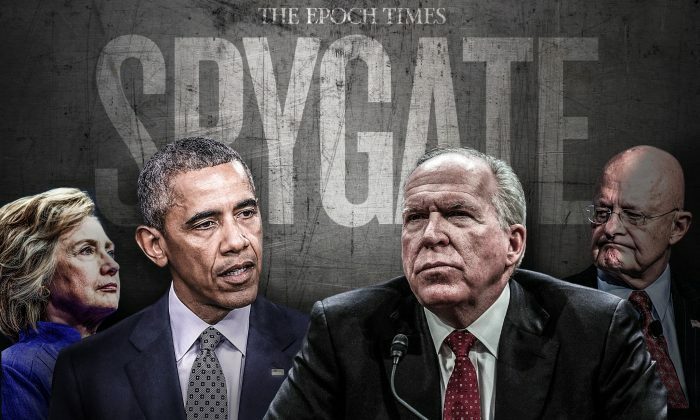 Spygate represents the biggest political scandal in our nation’s history. A sitting administration actively colluded with a political campaign to affect the outcome of a U.S. presidential election. Government agencies were weaponized and a complicit media spread intelligence community leaks as facts. But a larger question remains: How long has the United States been subject to interference from the intelligence community and our political agencies? Was the 2016 presidential election a one-time aberration, or is this episode symptomatic of a larger pattern extending back decades? The intensity, scale, and coordination suggest something greater than overzealous actions taken during a single election. They represent a unified reaction of the establishment to a threat posed by a true outsider—a reaction that has come to be known as Spygate. “Was a Trump Server Communicating With Russia?